Good morning! I hope you’re having a good day so far. For those of you who are not, hopefully the album I have for you today will help you! That’s right! It’s that good! 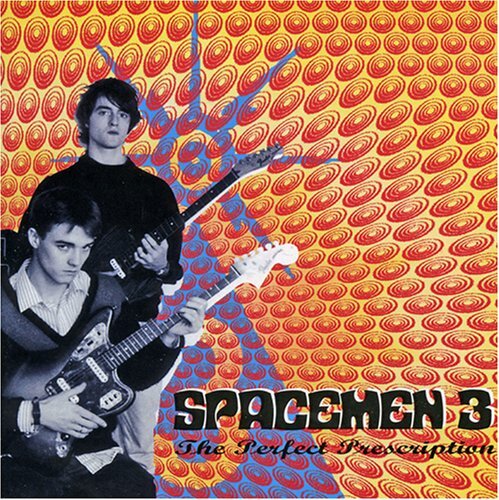 That album would be “The Perfect Prescription” by the band Spacemen 3. Spacemen 3 formed back in 1982 in Warwickshire, England, and they continued to be active until 1991, with the two consistent members being Jason Pierce and Peter Kember. During their existence, the band released a total of four studio albums, a compilation CD of their singles, and a bunch of other unofficial CD’s, live recordings, and demos. Their album, “The Perfect Prescription” was the second studio album they had, and it was originally released in 1987 on Glass Records. This is one of those albums that you need to start from the beginning, and not interfere with it for the entire length. All of the songs flow together perfectly, and it all starts off with the crashing of “Take Me to the Other Side“. This was a great song to put for the first track. It has a steady beat throughout, and the lyrics and guitar go hand-in-hand as Jason Pierce yells, “Take me for a ride/take me to the other side”. For the last minute and a half of the song, the band continues to crash and smash on their instruments while Pierce goes on about taking him to the other side…hmmm, I wonder what he’s gonna do? Isn’t it obvious? The next track follows up beautifully, and it’s part of a conversation between Pierce and Jesus. Jesus is telling Pierce “you ain’t coming to me no way/you’ve found heaven on Earth/gonna burn for your sin”. Oh man, looks like someone isn’t getting into heaven. Pierce asks Jesus for forgiveness and claims that “I could have done me worse.”, which is probably very true. The third track is almost like Pierce’s review of his time with Jesus, as they talk about the things that are hard to see in life, and giving into temptation. If you continue to listen past that track, you will figure out that every song is solid gold and very original (except for the “Transparent Radiation” cover of the band Red Krayola). It’s a surprisingly difficult decision to pick just ONE personal favorite from this album, but I think I would have to go with the track “Come Down Easy“. But why keep reading my thoughts? Check out the links below and find out what you think for yourself! Please enjoy and check back for more tomorrow! 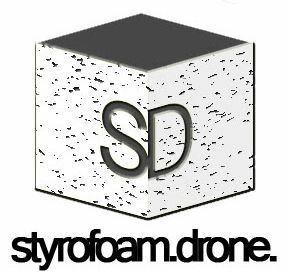 Posted on December 22, 2009 August 8, 2010 by styrofoamdronePosted in LP, ReviewsTagged psychedelic, shoegaze, space rock. Do you know that come down easy is almost a cover of bob dylan’s song In My Time Of Dying? Such a fantastic album by an incredibly unique band. One of my favorites! I agree 100%, I just bought the reissued version of this album on vinyl…it was such a special day. I never thought I’d have it on record.